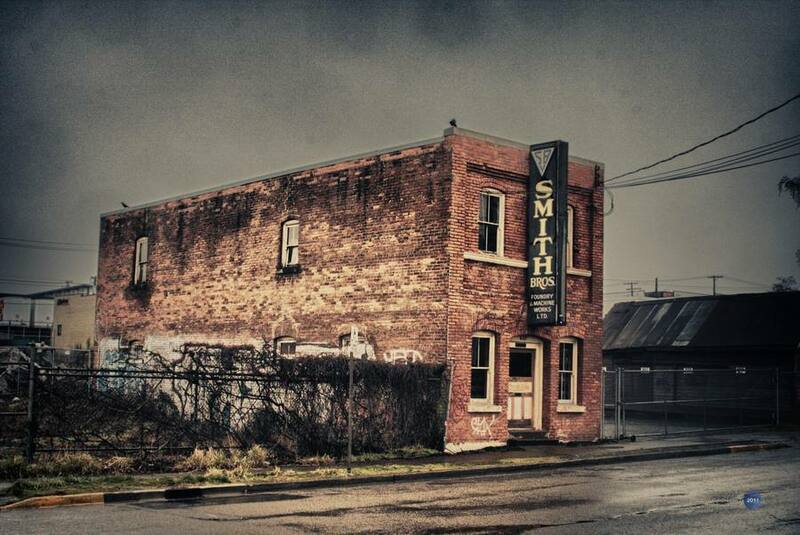 Located on Pembroke St. in Victoria is this old brick building, housing the Smith Brothers Foundry. This is a very industrial part of the downtown that is slowly disappearing. Was happy to see the two black crows stay put on the roof while I took this exposure. The rain also helped accent the image with the street reflection.